If you travel often, certain gadgets will make life much easier. 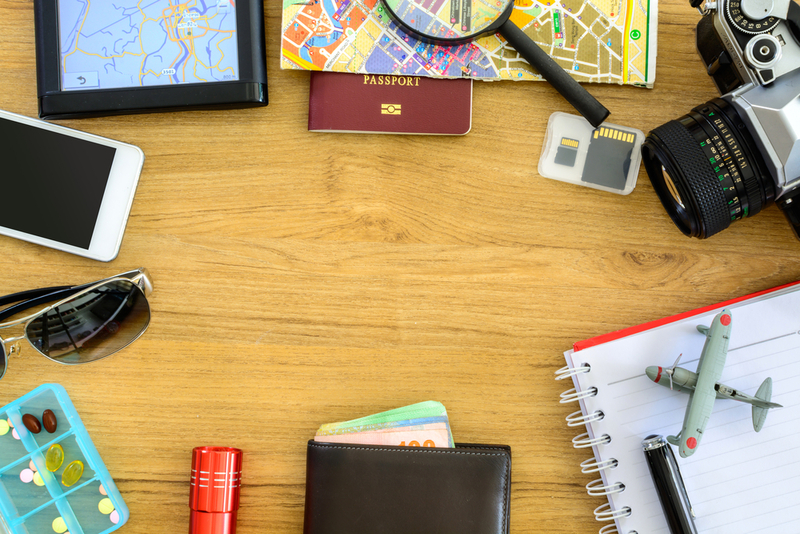 In addition to saving you time and effort, some of the top gadgets for business travel help with organization and safety. In reality, there are hundreds of unique options, making the decision-making process challenging. However, to get started, you can consider the gadgets recommended. Portable Notebook Lock – According to the latest statistics, one computer is stolen every 53 seconds in the United States. Considering your business computer contains proprietary information, this is serious. The good news is that you have viable options for protection. A prime example is the Kensington ComboSaver designed for notebooks. For just $25, this lightweight gadget keeps your computer secure. The lock consists of a 3-inch-by-6-foot coiling cable, making it easy to take along on business trips. Wireless Base Station – To extend the range of an existing Wi-Fi connection and as a wireless base station, the Airport Express is the perfect solution. To use, you simply plug an Ethernet cable into the box, followed by plugging the box into an open outlet. After turning your computer on, the gadget is ready to use. If wanted, you can share the Airport Express gadget or keep it to yourself. Camera – Most people only think of taking cameras on personal trips, but a camera is something to consider for business travel as well. Although you have hundreds of options, an excellent choice is the Canon Powershot SD1100. This digital camera is easy to use, it takes outstanding images, and it is small and affordable enough to be a huge advantage on business trips. Language Translator – Especially on international business trips, a language translator is helpful. Again, you have multiple choices, but the best is the Franklin 12-language Global Translator. In addition to displaying translated words in writing, this translator also speaks. More Battery Power – You can never have enough battery power, especially when you have multiple mobile devices tagging along. The problem with most external battery gadgets is they only charge USB devices. However, by choosing the Energizer XP1800, you end up with enough charge for all your mobile devices. This external battery is also lightweight and thin so it slips perfectly in a pocket. As a business traveler, you know the importance of making good decisions when away from home. In addition to using gadgets to make business travel easier, you can rely on a reputable limousine company for all your ground transportation needs.